Dr Oliver Sacks died recently. Reading a review of his biography I was inspired to buy a copy of 'On the move: A life.' It makes fascinating reading. Not having read anything from Sacks before I was delighted to find that he writes with an extraordinary fluency. Now I could dwell on various aspects of Sacks's life that were unexpected but the real interest with Sacks is what he has to say about the brain and the nature of consciousness or self. Sacks has made his examinations of various sufferers of brain anomalies a way of studying how the brain works. I use the word anomaly, rather than defects or illnesses, deliberately. Sacks met sufferers from Tourettes syndrome and other serious ailments. He considered all these conditions just conditions that were removed from 'normal' by a degree and not diminishing them as individuals. 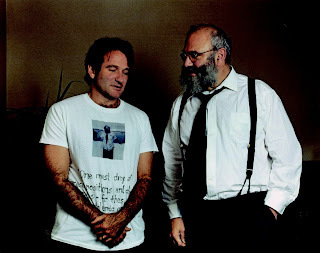 In fact he thought that Robin Williams (who played a version of Sacks in the movie Awakenings) had a kind of Tourettes condition which gave him his remarkable gift of quick fire patter. Sacks was extraordinarily non-judgemental. One of his brothers was schizophrenic and Sacks himself was gay. Despite being told by his mother she considered him, as a gay man, an abomination Sacks took the view that people were what they were and that these conditions were just to be accommodated. That there is no actual human 'ideal' is a fascinating philosophical point. Sacks was a Jew who grew up in wartime London. He had relatives in the camps in Europe. Bombing raids and genocide were carried out in the name of a master race that had very specific notions of physical and behavioural correctness. Of the anecdotes that pepper Sacks's bio his tale of a painter who lost his ability to recognise colour is illustrative of how the Sacks technique gives insight into the workings of the brain. After suffering a minor auto accident which did no damage to the patients eyes the subject lost all colour vision. He lost even the ability to dream in colour. Research has revealed an area of the brain which seems to be generally dedicated to adding, as it were, the colour component of perception. This was the area damaged in Sacks's subject. The implications drawn from this are that the eyes do not 'deliver' to the brain a fully constructed image, as a video camera does, but a collection of raw, largely randomly ordered signals which the brain must learn to process (or decode) into a meaningful image. Computer buffs might imagine, by way of analogy, a bundle of wires delivering signals from the optic source which must then be completely decoded by software into a structured image. With, perhaps in the latter stages of processing, the decoded colour information being added in the appropriate places to a monochrome image. This 'software' must, somehow, be self organising. It must learn through trial and error how to resolve sensory inputs into meaningful and useful data. (And, in addition, images recalled in memories and dreams.) This 'trial and error' is referred to as the heuristic technique. That the brain is a system learning from day one how to decode stimulus and how to manage our arms and legs is implicit. Every infant, it seems, has to learn from scratch how to locate and touch an object in it's vision field. Very little, aside perhaps from the general brain architecture, is hardwired. We are all individuals in the sense that we've all mastered, in our own ways, how to grasp and comprehend our environment. Again this notion of individual methods and processes supports the philosophical position of no ideals or correct behaviours. Other studies of colour blind people, who's eyes are not delivering colour information reveal that the region usually devoted to colour processing has been 'repurposed' to some other sight related task. Perhaps to extract more graduations of shade from a monochrome image. This kind of thing reveals a brain which is capable of managing physical anomalies and making the best of them. I find myself thinking of it as a very software intensive system with very little 'dedicated, function specific hardware'. Elsewhere in Sacks's book we learn of a patient with a condition where the fluid, continuous perception of motion, that most of us are familiar with, is suspended. A smooth stream of liquid, tea pouring into a cup, for example, is apparently frozen in stream or absent. This implies that there's a region of the brain that somehow is ordering the inputs of the visual field into a world of continuous and fluid motion. The world thus perceived being perhaps more useful than the one imaged by our imperfect human senses. Despite the apparent flexibility and accommodation of the brain to various shortcomings it is not without some restrictions. Children born totally deaf must be taught sign language within the first 3 years of life if they are to ever acquire language skills. Perhaps, once too long a time has passed without input, those areas of the brain devoted to language are 'repurposed' for other tasks. This also implies that this same region processes language in a high level form. Information that has already been converted to an abstract information stream. A fortunate arrangement as this permits writing to be managed by the same 'subsystem' that deciphers speech. How the brain learns to process these various inputs is still a mystery. The brain, or perhaps those parts of the brain that are associated with different functions, proceed heuristically to 'discover' how to process, for example, colour information. But heuristic processes must have a 'goal'. Some ideal situation where that added colour information, to use that first example again, as been processed 'correctly.' We know from art that we all generally share a common perception of the visual world. Literature provides us with a view of the internal monologues of others. Somehow or other these heuristic processes that stitch together sensation and experience, for individuals, have manage to converge on an experience of being which is more or less the same for us all. Sacks was a prolific writer. When he went swimming he kept a pencil and pad by the pool so that he could jot his thoughts down as soon as he was out of the water. He kept writing materials by the bed so that he could record his dreams. He felt that he could not understand a subject without the kind of deliberate thinking that turning thoughts into narrative requires. I'm with him on this one. 'On the move: A life.' 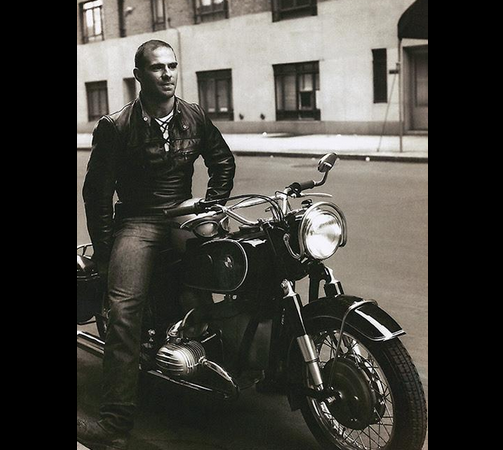 by Dr Oliver Sacks is recommended. Thanks Annette. "Different, not less." You've put it very nicely.